You have to enter a serial number now! Correct! you can get it for £39.99 if you ‘register’ a machine and then use the code to purchase this. I just noticed there are other Tassimo pods available for similar discount as well, including Costa, L'OR and Oreo: https://www.amazon.co.uk/apb/page/ref=gbps_rlm_s-4_c2b0_e6666e39?handlerName=OctopusDealLandingStream&amp;deals=e6666e39 https://www.amazon.co.uk/apb/page/ref=gbps_rlm_s-4_c2b0_97fa96b6?handlerName=OctopusDealLandingStream&amp;deals=97fa96b6 I have added the information into the OP. Heat! If you didn't already know, you can find your nearest recycling drop off for Tassimo pods here: https://www.google.com/maps/d/viewer?mid=1Ug9tvD3AhsvOEYB2R2ImGO2Di7g&amp;ll=53.31494985551033%2C-2.7352410000000873&amp;z=6 My nearest is quite far away but I pop in if I'm ever going that way. If you can get the green tea pods, they are excellent. The boxes in my local Lidl indicate this also includes £20 worth of credit for coffee as well. good little deal is that. Lidl are also selling the pods (albeit Kenco, not Costa) for £2.99. Nope, only tassimo specific pods and they are expensive. We've got a tassimo machine and it's stuck in the cupboard cause the price of their pods is extortionate. It is a sick disposable society we live in. I hate these coffee machines. I find one of these is more convenient, plus you can see at s glance what you have rather than rummaging through stacked-up boxes and packets in a cupboard. Never miss a 'Tassimo' deal again! I don't have a Tassimo but voted hot cos this deal doesn't deserve minus 70-odd degrees. Hopefully others will do the same. I've had Tassimo choc at a friend's, that was pretty good. As for tea, @Gazz59 , yeah you're spot on, black tea needs literally boiling water to extract properly, other teas and coffee don't. I guess the DG is just not designed for black tea based on their range of tea pods. Glass half full person then? i wonder if this is nationwide? 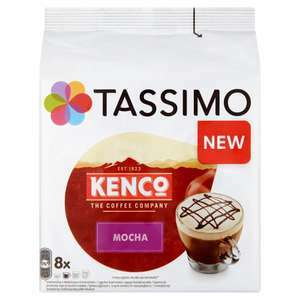 10 Packs of Tassimo Kenco Grande Americano £28.30 @ Amazon with Amazon Prime discount. Works out £2.83 each. sadly the offer of a fiver off has ended. They had a similar black Friday deal, and I'm still drinking those ones! Heat for the offer though. Good deal... Cup of coffee for around 37p . Cheapest I've seen them is £3.99 for an 8 pack. I like the Kenco and the Hot Choc... I found the Costa cappuccino pods to taste a bit too creamy. Great deal, I hope it's national. Was waiting for the price to go down and finally..... £2 shelf price at Asda Corby...plenty on the shelf this evening. Exp. date July or August 2019. Possibly National? Voted hot cause it's a good deal but they are stinking. I was doing same thing,kept on scanning them and it always showed full price,where today finally shelf price £2 .They contain loads of sugar tho. They have been £2 in Sheffield for the past month but sold out now. I'm forever seeing these in my local. I just ignore them as almost always cheaper to get from a supermarket. I have seen the app, but they are never in-store. Is it a fair game to put up a promotion while having the promoted item in 5% of their stores (speculation). It feels like a scam, as it will attract people to go and check in their shops, but they will likely not find the promoted item there. So I think they know it and use it as a way to get more people in. You know you can get them for something like £3 a pop in B&amp;M right? Lidl also do compatible pods. LMAO (lol) (lol) (lol) Touche! I hear that opinion and agree to a degree about the flavours part, I used the same 20% off and £10 voucher to get flavours I want as oppose to this bundle. I got premium packets like Baileys Hot Choc which isn’t stocked in shops, got 10 packs (all various) for £27.10 so £2.71 a packet. Thats cheaper than shops. If it doesn’t suit you to buy in bulk, it doesn’t make the deal bad, just that it’s not meeting your needs. Only problem with this is that you can't pick your own flavours. Great if you just got the machine and want to try everything... otherwise not much of a deal. Coffee used to be fairly simple. If you drank it at all, it was in the form of instant coffee granules or elaborately prepared filter coffee and espressos. But things have changed. Machines like the Tassimo range from Bosch allow coffee aficionados to brew up café-style beverages whenever they want to. The range is broad, and Tassimo’s machines have varying characteristics, but this buyer’s guide should help to find the right model for you. Tassimo is a relatively recent innovation, having been introduced in France as recently as 2004. Originally manufactured by Kraft, then Braun, Tassimo machines are now manufactured in Eastern Europe by the home goods firm Bosch. Nowadays, Tassimo machines are carving out a prominent place in the coffee maker market. Their success has been driven by two major factors. Firstly, they look sleek and attractive, and will fit well into contemporary kitchen designs. Secondly, they are easy to use and effective – appealing to anyone who needs good coffee in a hurry. The most important thing to know about Tassimo machines is the way they brew coffee. Instead of using filters and high pressure, the coffee is stored in pods or T-discs which are inserted into the machine. There are over 35 different flavours and styles of pod to choose from, allowing you to create anything from a simple espresso or macchiato to a rich milky latte. These pods could come from leading beverage brands like Kenco, Suchard, Jacobs, Carte Noire and Twinings, and they are freely available at UK high street retailers like Asda and Tesco. In the process, Tassimo machines use far less pressure than a conventional coffee maker. Generally, you would expect a filter coffee maker to apply around 19 bar of pressure, while a Tassimo machine uses only 3.3 bar – and consequently uses a lot less energy to achieve the same result. This makes Tassimo’s machines cheaper to run than normal coffee makers – but these savings are offset by the need to purchase a separate pod for every drink. The pod system is advanced – involving Intellibrew technology that scans a barcode on each pod, before assessing how to apply pressure, how much water is required and how long the process should take. Some critics have also suggested that there is a loss of flavour when using the Tassimo method, but Bosch disagrees. In reality, Tassimo pods brew up a high quality cup of coffee – although purists may prefer a gourmet espresso maker to suit their palates. 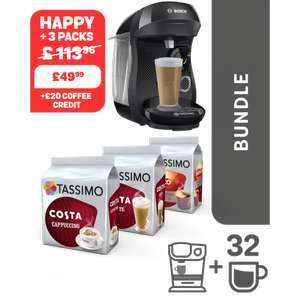 Tassimo’s coffee machines are competitively priced relative to other coffee makers – and discounts are always becoming available from the UK’s leading kitchenware retailers, so check them out at the HotUKDeals Tassimo pages. 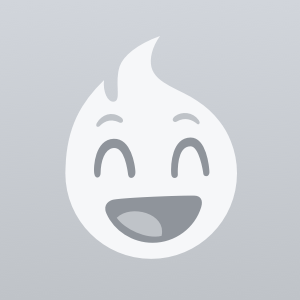 However, there are significant differences between the machines on offer. As noted above, every Tassimo machine uses pods or T-discs to make their coffee. These discs contain a certain amount of ground coffee, and can be used with all kinds of Tassimo machine. You can make different drinks consecutively without needing to clean out the machine, and they do not need to be stored in the fridge, so they can be kept in a normal cupboard or next to the machine. Users can modulate the strength of their coffee by extending the brewing time, and they can easily brew long or short coffees just by changing the time taken as well. By using a special kind of milk, and through the pressure applied by the machine, Tassimo devices also produce a layer of froth which changes depending on the type of coffee being made. All machines also feature the Intellibrew barcode scanning system and have LCD displays to enable the user to operate them. Every model can be descaled easily, and they all have easy to remove water tanks as well. LED lights indicate when this tank needs to be refilled, if there is not enough water for the desired drink. Like all coffee machines, Tassimo devices need to be cleaned. The barcode reader needs to be kept clean, as does the water tank – both of which should extend the machine’s life considerably. Thankfully, Bosch have included the Tassimo Service Disc which automatically carries out descaling, avoiding the need to buy and use separate chemicals. The differences often involve size, and there are technical variations as well. However, when you get down to it, every single variety of Tassimo machine will make a similar quality of coffee. Paying extra allows you to customise your drinks and cater for more people, but basic models will do the trick for most people’s needs. For most people, basic Tassimo models like the Vivy, Amia and Caddy will include all of the required features. The Tassimo Vivy is a compact coffee maker for everyday use. With a width of 17 cm, it is a good size for most kitchens, and can be slotted into gaps between toasters and stove tops with ease. The Vivy uses Tassimo’s T-Disc system to brew its drinks, is operated with a simple keypad and is capable of brewing everything from chai lattes to cappuccinos. Its water tank is built into the side of the unit, with a handle that makes it easy to remove for cleaning and refilling. The machine will also flash up a notification telling the owner to run the descaling cycle – keeping everything in working order. Another intelligent feature is the adjustable platform underneath the spout, enabling the owner to use different sizes and shapes of cups. As with all Tassimo models the Vivy produces hot drinks in a matter of seconds – one of the main selling points of the Tassimo range in general. It’s a good alternative to more complex coffee makers, and is almost as convenient as making an instant coffee. The Vivy isn't limited to coffee either, and can be used with hot chocolate, chai latte or herbal tea T-discs as well. Another step up in size comes the Tassimo Amia. Features of the Amia include an automatic standby mode, which kicks in straight after the coffee has been brewed, saving energy. As with the Vivy, it indicates when descaling is required, has a flexible platform for your cups and is operated by a single button. The major difference between the two models is size. At 1.5 liters, the Amia has roughly twice as much water capacity as the Vivy, making it an attractive option for families and serious coffee lovers. 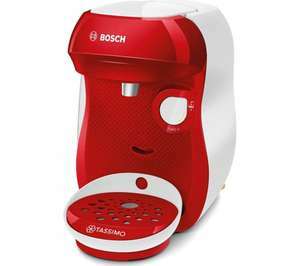 Other basic models include the Tassimo Suny – which is similar to the Vivy (with a capacity of 800 ml) and the Tassimo Joy, which resembles the Amia, with a 1.4 litre capacity. The Tassimo Charmy is a step up in the price range, mainly due to the inclusion of a Brita Water Filter, which can be useful in areas with hard water or if you prefer filtered water for health reasons. Another higher price model is the Fidelia+, which has a much bigger capacity than other models (around 2 litres) and includes more options regarding the intensity of the coffee produced, includes a multilingual LCD display, a cup stand light and a water filter. The Tassimo Caddy offers a slightly different coffee making experience. In thus case, the coffee is stored in pods that are attached to the side of the machine. Like the Vivy, the Caddy is a compact device that will fit into most kitchen arrangements, and it is also operated at the flick of a switch, making it convenient to use. As with all Tassimo machines, the Caddy doesn’t require a long time to warm up its water. Instead, everything is ready to go in an instant – which can be a real help for busy people who are starved of time in the morning. The major advantage of the Caddy (which makes it slightly more expensive) is convenience. Having your coffee pods stored next to the machine means that you won’t need to reach into cupboards and open fresh packs of pods every time you want to brew up. How Good is Tassimo Coffee Really? For many people, the gadgetry and convenience of Tassimo machines suggests that they sacrifice quality somewhere along the line. However, the makers maintain that their devices are capable of brewing a high quality espresso which compares favourably with café-made drinks. Usually, a very high degree of pressure is required to make a proper espresso – where all of the taste and caffeine is drawn out of the coffee grounds, resulting in a highly concentrated burst of flavour. Tassimo doesn’t use such high pressure, but Bosch claim that their emulsifying technology has the same effect. Instead of high pressure, Tassimo machines rely on high velocity, which creates a concentrated coffee beverage, with a layer of crema on top – just like an authentic espresso. Why Choose Tassimo Over Other Coffee Makers? If you are serious about your coffee, Tassimo machines might not be the right choice, but for most people they offer a good blend of convenience and quality. There is a wide range of drinks on the market, all of them are easy to prepare and you can guarantee a reliable result from the Intellibrew system. The one-touch brewing system is intuitive and fast, allowing novices to master coffee brewing in no time. Beginners can make quite complex coffees like cappuccinos and macchiatos with very little work. Maintenance is partly automated as well, which helps users to keep their machines in good working order for a long time. They are also quiet to run, where other machines can hiss and rumble, and they brew very quickly. 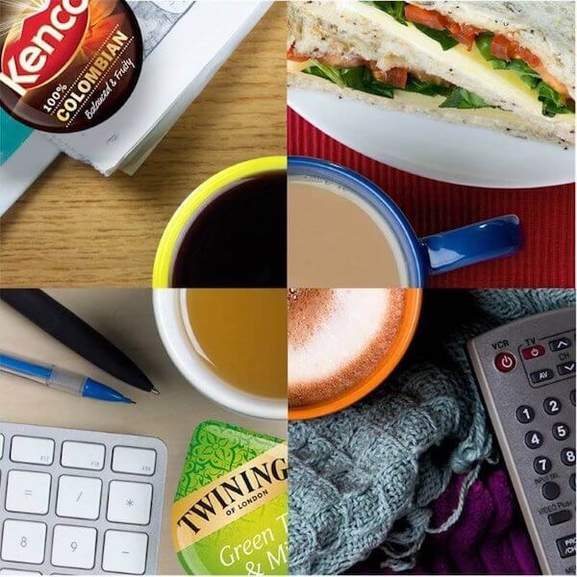 In all of these ways, Tassimo offers something approaching a coffee shop experience in your own home. Other machines may be larger (though a 2 litre Tassimo should serve families well). They may also brew stronger espressos, but for normal coffee drinkers, a Tassimo is ideal. Tassimo machines can be ordered online from outlets like Amazon or Argos, or they can be purchased from high street retailers. 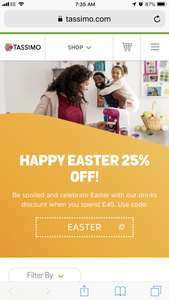 You’ll find a wide variety of merchants offering discounts on the firm’s many models at the HotUKDeals Tassimo pages, which feature big names like John Lewis, Tesco, Asda and Currys. Deals are announced throughout the year, not just major retail events like Black Friday or the New Year sales – so keep your eyes pealed for the latest deals if you are in the hunt for a new coffee maker. There are also plenty of regular discounts on T-discs for use with Tassimo machines. 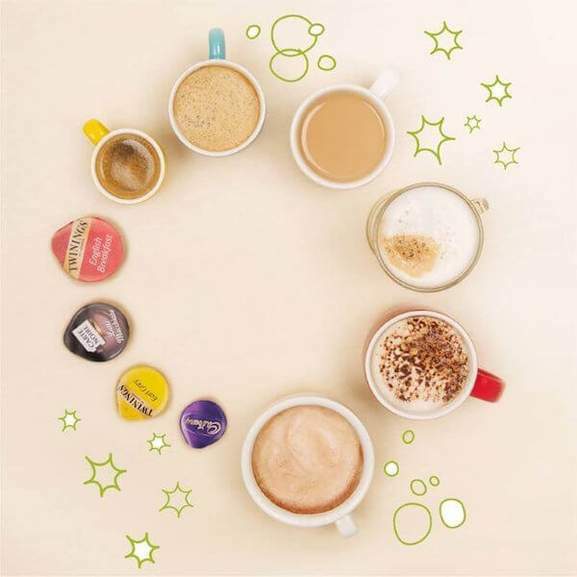 If you are a regular coffee drinker, these T-discs can be a significant expense, and by sniffing out discounts at HotUKDeals, you can make your Tassimo much cheaper to run.